My sister, Diane Alsdorf, is facing the fight of her life. 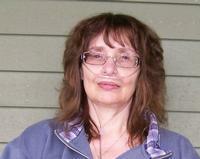 Diane suffers from a rare lung disease and is in desperate need of a double lung transplant. Diane has lived near Cincinnati all of her life. You might know her from her 17 years of working at the Valley Thrift Store in Hamilton where she was proud to work for a place that provided funds for Vietnam Veterans’ organizations. Or you might recognize her from her five years of working as an assistant manager at Arby’s in Westchester, mentoring young employees and providing service with a smile. In 1995, Diane was diagnosed with a hereditary lung disease called Alpha 1 Antitrypsin Deficiency. At the time of her diagnosis, only 2500 people in the United States were known to have this condition. In our family, two siblings have the disease and three of us do not. Ten years after her diagnosis, Diane began to suffer from pulmonary hypertension and three years ago, her condition deteriorated to the point that she became dependent on 24/7 oxygen. Specialists at the Cleveland Clinic have determined that Diane’s only hope for a return to health is a double lung transplant. She is a good candidate for the procedure and has been placed on the transplant wait list.